← We’re 13 months old! You know how there’s this vision of Pinterest mums? Women who drop their kids off at school in these fabulous outfits with all locally sourced organic lunches who breeze around town in amazing four inch heels and have some super chic job that they love and excel at before coming home and making an amazing, snap-worthy four course meal that their entire family raves about. Yah, I’m pretty sure those women don’t really exist, other than in our minds as the ultimate standard of supermom. Now, my love of food should come as no surprise. After all if I didn’t love food, why would I need to be doing Weight Watchers? But cooking really has never been a big interest of mine. I love to bake, and I think the difference is that cooking is so intuitive; a little spice here, some tweaking there, whereas baking is specific; you need specific amounts of certain ingredients or it just won’t work. Now that the chaos has mostly settled, I try to actually make dinner and not just toss a grilled cheese at the kids. And yes, I turn to Pinterest to find relatively easy, yummy recipes that don’t require a degree in culinary arts to complete. Sometimes, it’s really good and I shock myself and though I haven’t made anything inedible, I’ve learned that the “healthy” options are just not for us. It’s all about portion sizes, not about eliminating yummy foods. Tonight I made an awesome bolognese from scratch and even made peanut butter cookies (with Ella in the carrier!) for dessert which had the bonus of impressing Buds and not tempting me as I don’t like peanut butter cookies, I’m a chocolate chip girl at heart. Some days are insane and I’m lucky to be able to pop a frozen pizza in the oven, and then other times I’m making roast chicken and watch the kids devour it. Buds even had seconds tonight, if that’s not an endorsement, I don’t know what is. 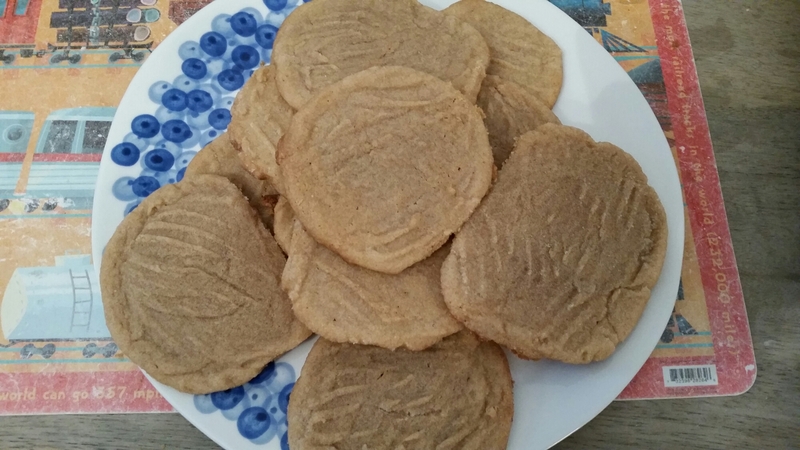 It's peanut butter cookie time! So, I will never ever (ever ever EVER) be a full fledged Pinterest mum, but I’m making my own Supermom costume in my own way, and let me tell you, it looks fabulous. 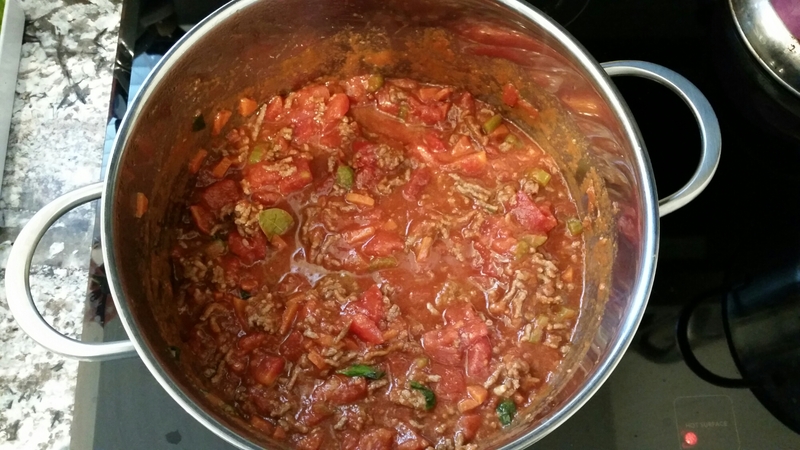 This entry was posted in Home is where the heart is, Mamahood and tagged balance, cooking, food, home, identical, momo, mono mono, motherhood, NICU, preemies, toddler, twins, weight watchers. Bookmark the permalink. Those moms might not actually exist but no matter how often we tell ourselves that, we secretly believe that they totally do exist! Ain’t motherhood grand? Nice going! Your bolognese looks fantastic! My supermom power was to get Andrew to marry me. He does 90% of the cooking!